Establishing a business, regardless of its nature, size and invested capital can be a rewarding yet challenging decision to make. 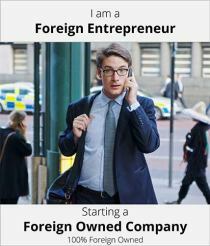 When it comes to setting up a business in a foreign country, more often than not the challenges multiply. Expats considering starting up a company in Indonesia may feel like they are entering an unexplored territory where, compared to Asian nations, one may deal with obscure laws and corruption. While there will undoubtedly be obstacles to overcome, unfamiliar set of laws and cultural differences when discussing business, it’s not all doom and gloom for those wishing to create or establish a business activity in Indonesia. Why set up a business in Indonesia ? Before getting into specifics of how easy it is to set up a business in Indonesia, let’s explore some of the reasons why Indonesia is the ideal place to invest in. A booming service sector. While foreign investment in the Indonesian market has always prioritised the mining and manufacturing sectors, things are rapidly changing. More and more Indonesians are moving to urban areas, which translates into an increasing number of individuals using products, services and infrastructures. This, combined with a growing demand in the service industry, makes 2018 a good time to start investing in the service sector in Indonesia. Constant progress. The World Bank has taken note of Indonesia’s efforts in reducing bureaucracy, improving the tax system and encouraging international trade relations. According to the World Bank’s “Doing Business 2017: Equal Opportunity for All” report, Indonesia showed a remarkable progress in the business/trade department, by jumping 15 places from 106th to 91st, compared to its 128th position in 2013. In addition, as evidenced by World Bank’s “June 2018 Indonesia Economic Quarterly”, the past five years have witnessed Indonesia’s fastest growth in gross fixed capital. Taking into consideration the above figures, the future of Indonesia’s economy couldn’t look brighter. More business classifications open to foreigners. No matter how creative and profitable, foreigners’ business ideas in Indonesia need to carefully assess the classifications these projects fall into. As a matter of fact, there are specific sectors in which the percentage of foreign ownership is limited. The good news is that – compared to 2014 – more and more categories have relaxed their requirements from 49-51% all the way to be 100% foreign owned in 2016. Businesses such as hotels, real estate property, bars and restaurants can now be 100% owned by non-Indonesians. An increasing population. Not only is Indonesia the most populated country in Southeast Asia, but also one of the nations with the steadiest population growth in the world. When it comes to foreign investment, Indonesia a fertile land indeed: why starting a business in any other country when there is such a vast, young and diverse population waiting for innovative services in Indonesia? The above are clear examples of how remarkably well Indonesia is performing on a global scale and how the country is pushing for a better economy, services and infrastructures for all its residents. Another point worth mentioning is that the Indonesian government’s efforts in tackling corruption – a plague that has afflicted the country in many ways – are slowly producing results. The level of corruption registered in the past decade is at its lowest, making Indonesia a safer investment ground for foreign and local investors alike. In 2018, the country stands out as a fast-growing emerging market and its future couldn’t look brighter. By spending some time in the country, getting to know its laws and explore its most sought after business opportunities, potential investors will discover how lucrative and easy doing business in Indonesia can be.